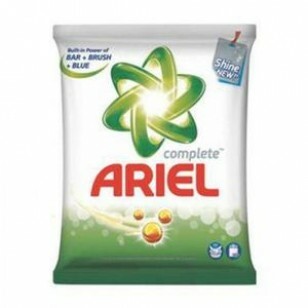 Ariel has a multiple cleaning system & built in additives for a Complete wash. Ariel has pink noodles, green speckles, and blue speckles which have the power of bar, brush and blue, which helps remove the toughest of stains with 100% stain removing power. Keep your clothes Shine like New* with Ariel Complete. Can be used in Hand wash or in Top loading washing machines.